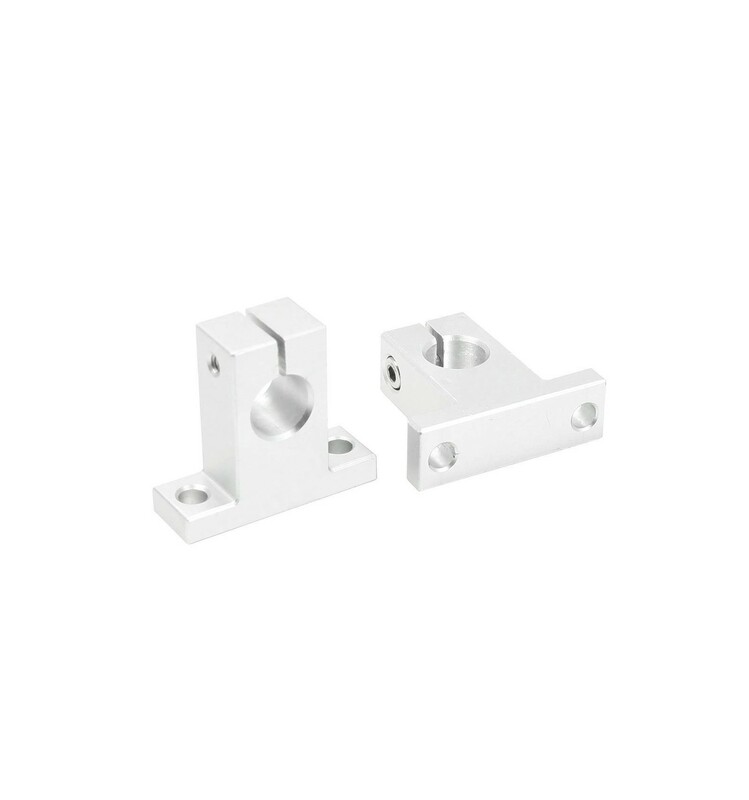 An aluminium made end support for securing 8mm linear shaft to 3D printers, CNC machines and other linear motion projects. 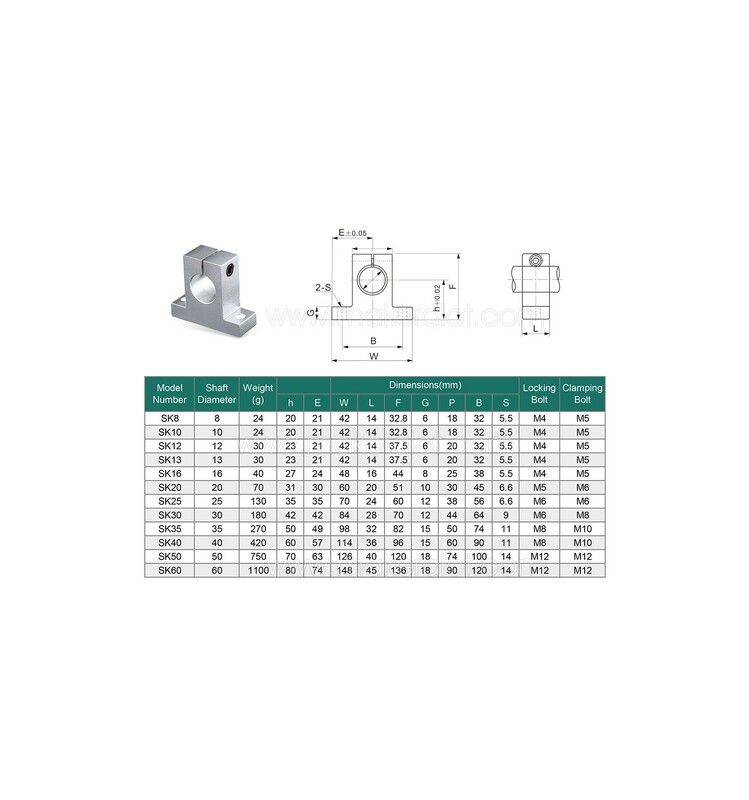 This SK8 aluminium end support block can be used for intermittent or end shaft support. It is light weight, strong and suitable for all shaft types. 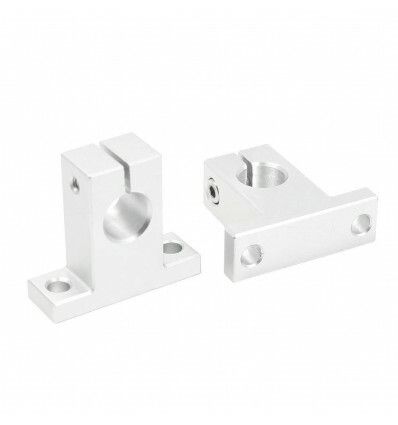 Many well-designed 3D printers, CNC machines and linear motion products make use of these end supports as they provide a convenient and firm method for securing 8mm linear shaft to the rest of the machine’s assembly, making use of two holes in the block’s foot.